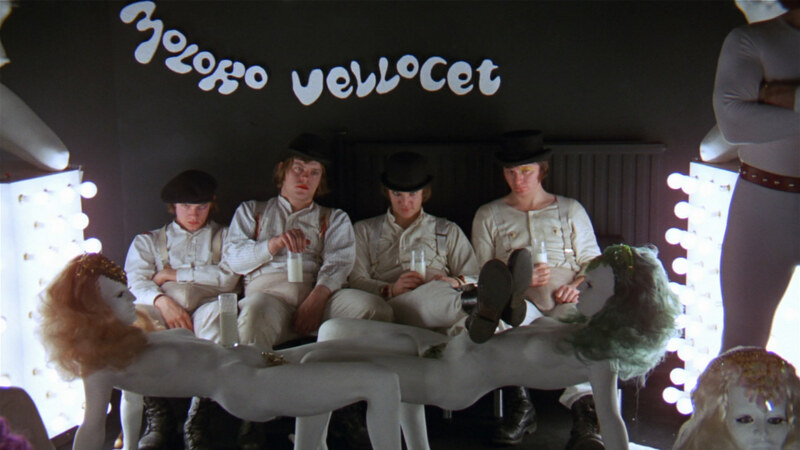 A Clockwork Orange – Kubrick’s dreamy, disorientating and menacing opener – featuring credits on bright, block colour backgrounds and an eerie synthesised score – it instantly sets the style of the movie. The Lion King – Disney are good with openers, and The Lion King is perhaps the most iconic. 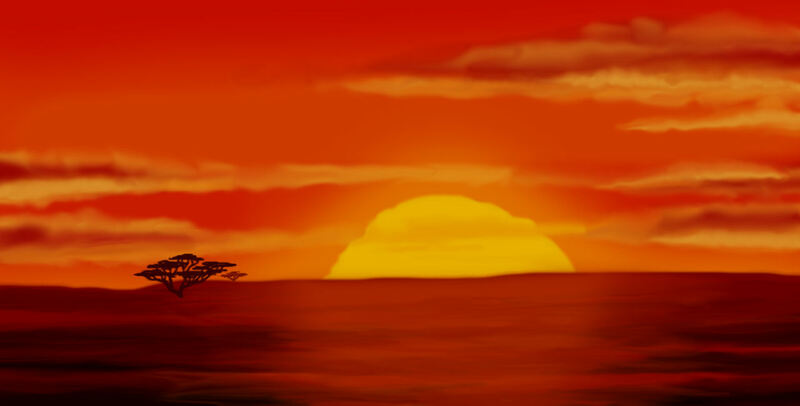 The opening seconds in particular – the sunrise, those vocals – are extremely iconic, leading nicely into the Circle of Life and some beautiful animation. It’s a big, bold and regal sequence, and Disney at their most epic. 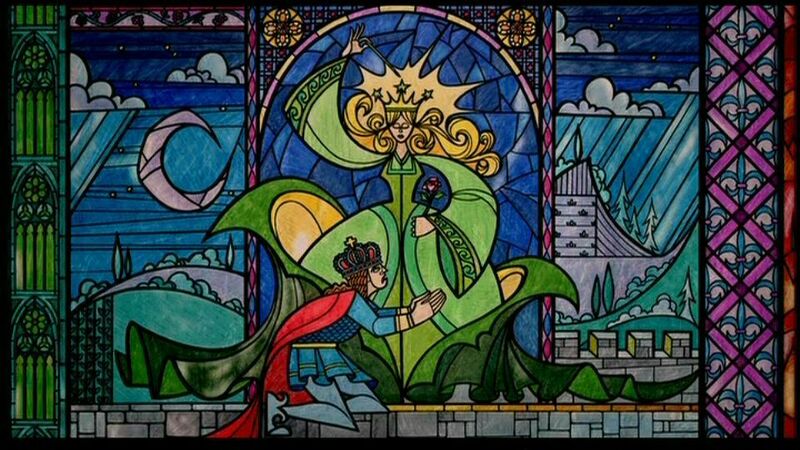 Beauty and the Beast – Disney on a different scale – we’ve got the haunting opening monologue to iconic stained glass images, scored by the creepy and magical ‘Carnival of Animals’ which perfectly captures the mood. This is followed by a big, classic song number which instantly cements Beauty and the Beast’s status as one of the greatest musicals. Halloween – A ‘How To’ in horror openings – the orange glow of the pumpkin generates an unsettling and autumnal atmosphere. Then we get the brutal, Touch of Evil inspired POV opening – the scariest moment in the movie with a killer final reveal. It’s the music which makes this work so well however – John Carpenter’s scary, utterly memorable piano score really sells the scene. Alien – A different kind of opening here – Alien’s first few minutes, where the titles slowly fade into view, is an exercise in building brooding atmosphere and tension. The howling score and restrained movement hints that this is going to be a measured but powerful horror film. 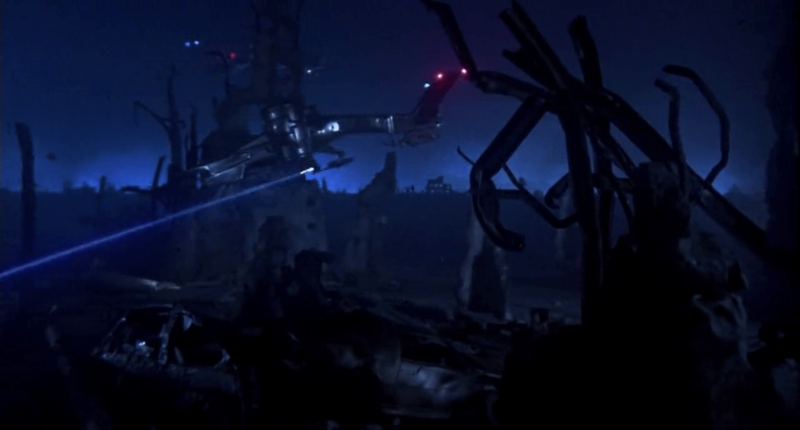 The Terminator, and Terminator 2: Judgement Day – As a child, there was nothing more impressive than these openings. The first movie’s blue and terrifying glimpse into the future, with iconic opening text and fantastic 80s score really sets the dark and mechanical tone. Judgement Day’s opener is basically a bigger and more polished version of the same scene, which says a lot about the movie as a whole, though that’s not criticism. Together, these two openers are brilliant. And the list…..
10. Funny Games (Michael Haneke, 1997) Michael Haneke’s Funny Games is one of the most dividing movies of recent times. Personally, I love it, though it’s difficult to watch – a bold, metathreatical comment on the nature of the thriller genre, cinematic violence, and viewer voyeurism – Funny Games is an art-house version of Scream essentially, replacing knowing wit with academic discussion and setting out to make the audience extremely uncomfortable. Haneke manages to set tone from the start; we begin with a tranquil and pleasant sequence – a young family driving whilst listening to classical music – it’s a peaceful, if ominous scene; the overhead camera is striking visually, making the viewer aware of their own presence, and then suddenly, the classical switches to loud, violent metal, and the titles are literally slapped onto the screen whilst the family grin on unaware. We’re instantly given a sense of the family’s frailty, their vulnerability in the middle of nowhere, and primarily, the fact that they are really just players in a genre piece, players who don’t know their role. That’s where Funny Games differs to Scream. In Scream, everyone is in on the joke. In Funny Games, only the killers, audience and director are – which is partly what makes it so hard to watch. We get all of this within the first few moments. 9. Scream (Wes Craven, 1996) The opening of Scream is a classic – instantly memorable, and iconic, it’s one of the best in horror, and probably the defining moment of Wes Craven’s career. There’s a lot going on in this scene, and though only 12 minutes long, it leaves a huge impact. Scream is actually one of the smartest movies of recent times, a post-modern breakdown of the slasher genre which works on audience expectations and metatheatricality – the opening sums this up, with a discussion of horror films, including a life-or-death quiz on movie trivia, and of course, the calling out of the tropes – ‘You should never say “who’s there?” Don’t you watch scary movies?’ which basically sets the self-aware tone for the rest of the film – as do references to things like ‘the Mckenzies,’ a Halloween nod. The opening subverts audience expectations by killing off Drew Barrymore, Scream’s biggest name, a clever twist which is actually a reference to Janet Leigh’s death in Psycho – it says a lot for the scene’s memorability that this is probably the defining moment of Drew Barrymore’s long career. Whilst being clever, tongue in cheek and rife with black humour, the opening manages to be scary too. This is an extremely powerful scene – one which for the first time, introduced audience’s to the threat of the cell-phone (the killer could be anywhere) a modern twist on the ‘calls are coming from inside the house!’ tale, which combines with the knowing ‘middle of nowhere’ setting and the house’s big, black windows to create a terrifying feeling of danger and insecurity. Barrymore’s breakdown is brutal and the scene becomes increasingly intense as it progresses. 8. Raiders of the Lost Ark (Steven Spielberg, 1981) Spielberg’s thrill-ride throwback to 30s TV serials opens exactly as it should – we come in mid-adventure with Harrison Ford’s Indiana Jones deep in the Peruvian jungle – the set up is designed to recall the old TV shows which inspired the movie, the idea being we’re tuning in mid-episode. It’s a clever twist which allows Spielberg to pull out all the stops at the start, crafting a mini-movie with wonderful atmosphere and of course, hugely impressive action scenes and stunts. There’s an element of the James Bond opening sequence here, though Raiders’ beginning is perhaps more iconic, with almost every section of it – the idol, the rolling boulder – later being parodied a thousand times in popular culture. Indy’s intro is hugely iconic too, and we’re introduced to everything we need to know about both the character and the series within the first ten minutes or so. This is Spielberg at his most fun, and the sheer passion and enthusiasm the director has for the material sets up an escalating sequence of events, the highlight coming towards the end when John William’s climatic and soaring theme tune kicks in. Indiana Jones movies are known for their strong, Bond-like openings – and this is by far the best. 7. 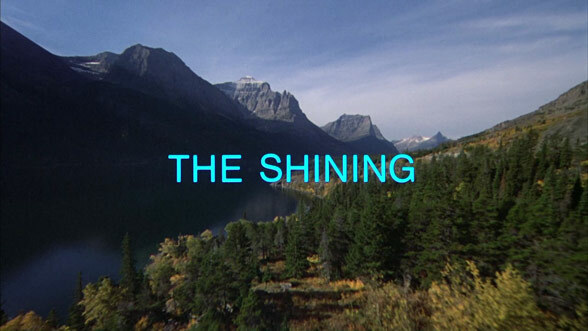 The Shining (Stanley Kubrick, 1980) Horror movies generally do well with opening sequences. The combination of music and image can set the mood. I’ve talked about The Shining a fair few times on Some Films and Stuff. It’s one of my favourite movies and one with a lot to offer. The opening however stands as as perhaps the best in all of horror, and a fantastic example of a relatively simple scene generating a tremendous atmosphere; it’s essentially following Jack Torrence’s car through the winding, ominous and imposing Rocky Mountains, with a terrifying an iconic score – Wendy Carlos’s version of Berlioz’ ‘Dies Irae’ – on top. The swooping, helicopter mounted wide-angle lens-camera gives a distorted and sublime view of the mountains, and highlights the frailty of the small car in comparison. The credits roll up in reverse too, which subverts what the audience would expect and creates an unnerving, uncanny tone. The beautiful, haunting shots of the mountains combine with the music, which becomes an increasingly intense cacophony of wails, moans and chants – easily one of the most atmospheric combinations of sound and image ever put on screen. I can’t think of any other movie which suggests so greatly that terrible things are going to happen, or which manages to generate such a sense of dread from the outset. When we finally reach the Overlook, it’s almost a relief. 6. Once Upon a Time in the West (Sergio Leone, 1968) It was a tie between this and The Good, the Bad and the Ugly. Ugly’s opening is fantastic, fun, and bright, with the benefit of Ennio Morricone’s incredibly rousing score, which really gets the audience involved. As I thought about it more, it seemed that Once Upon a Time in the West was the movie which deserved sixth place. Leone’s sad, epic and brilliant love-letter to the genre he solidified opens with an extremely lengthy (around eleven minutes) dialogue free scene which is scored by natural noises – trains running, flies buzzing, boots walking – and ends in a sudden burst of brutal violence. Leone was always more interested in the rituals which precede violence than the violence itself, and this is perhaps best summarised in this scene, which perhaps, along with The Good, the Bad and the Ugly’s graveyard duel, best summarizes Leone’s entire filmography. The opening here is technically a huge achievement and very bold, which reflects the measured and mature tone of the film. This is the last great epic of the spaghetti genre and a masterpiece of style – the audience get that impression from the start. 5. Pulp Fiction (Quentin Tarantino, 1994) Tarantino is a director with old school influences – hence the focus, in all of his movies, on the opening titles. Borrowing from the likes of Leone, Tarantino crafts lengthy, music driven title sequences which set the mood for what’s to follow. Almost all of them are incredible – the slow-mo walk to ‘Little Green Bag’ in Reservoir Dogs, Jackie Brown’s slow and soulful ‘Across 110th Street’ airport crawl, Kill Bill’s brutal Nancy Sinatra/bullet to the Bride combo, and of course, Inglorious Basterds 20 minutes of Leone homage. 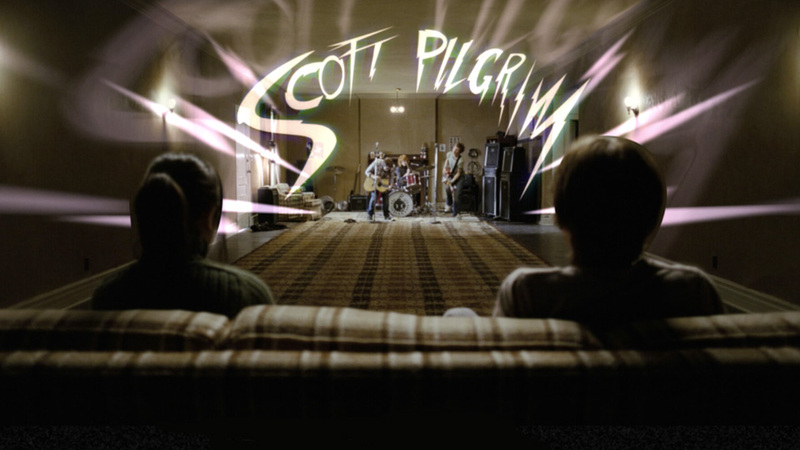 Each opening succeeds in introducing the movie’s style and getting the audience worked up. It’s perhaps Pulp Fiction’s beginning that best sums up Tarantino’s style however. An undisputed post-modern classic, Pulp Fiction begins with a tight and natural dialogue scene between Tim Roth and Amanda Plummer which moves slowly from romantic discussion to armed robbery. In true Tarantino style, the dialogue is spot on, and the gradual switch of gears brilliant. We’re then given the frantic, surf-heavy titles to Misirlou – the opening pull back on ‘Pulp Fiction’ iconic in its own right, this is a brilliant, epic opener with a lot of confidence and energy. It’s a great example of a classic opening scene combining with great opening credits; the kind of credits you don’t want to end, they’re that enjoyable. Five minutes into Pulp Fiction and you’re hooked on Tarantino for life. 4. Jaws (Steven Spielberg, 1975) Jaws was my favourite film as a child, and I watched it on a weekly basis. As such, it’s a movie I know almost off by heart – every line of dialogue, every musical note and sting. Yet even though it’s something I’ve seen hundreds of times before, the opening remains a highly effective piece of suspense cinema. We begin with darkness, and eerie, echoing sounds – we’re given a sense of the sea’s great expanse, and then in comes John William’s deceptively simple and iconic score. 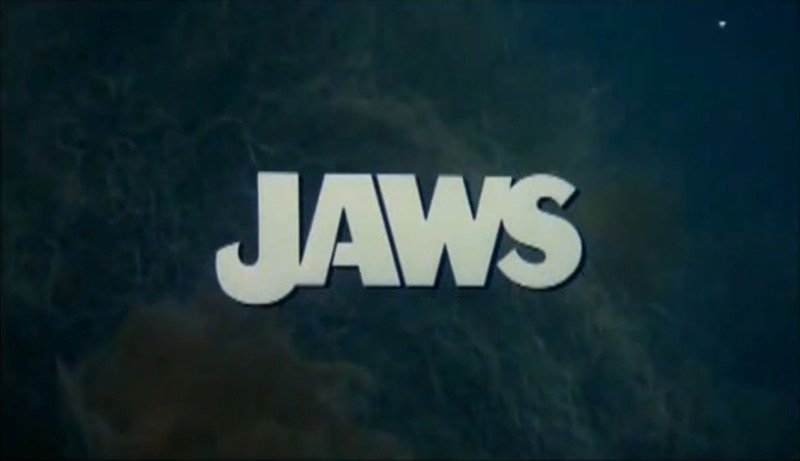 It goes without saying that the Jaws theme is one of the best movie themes of all time, and its first introduction here is initially haunting, though the tone gives way to panic as we zoom along the sea floor and the beat steps up. The opening, featuring young female swimmer Chrissie, isn’t so much scary as it is suspenseful and disturbing; the scene begins with a dreamy, tranquil tone underpinned by an air of upcoming menace; shots looking up at the girl from below the water are unnerving, and a great deal of tension is built before the attack actually comes. For a PG rated movie, the opening attack is surprisingly intense, and you’re given a great sense of something unseen, huge, and terrifying lurking beneath the waves. It’s an iconic opening and very memorable, one of the highpoints in thriller cinema. 3. Star Wars IV (George Lucas, 1977) The Star Wars opening is the most iconic cinematic opening of all time;’ instantly recognisable, everything about the opening has become integrated into popular culture. ‘A long time ago in a galaxy far, far away’ stands as one of the most quoted cinematic lines, and serves to introduce the film’s fantasy feel. Star Wars has more in common with fantasy than sci-fi and we get that impression through a simple line. The musical explosion which follows, and the drawback on ‘Star Wars’ itself – is a powerful combination of text and sound which has an outstanding effect. John William’s Star Wars theme (the composer’s third appearance on this list) is possibly his best; grand and operatic, it sets an epic, adventurous tone for what’s to come. The crawl itself, and the fact that we begin mid-adventure (at a time when the prequels didn’t exist) reflects the TV serial influence, similar to Indiana Jones above. 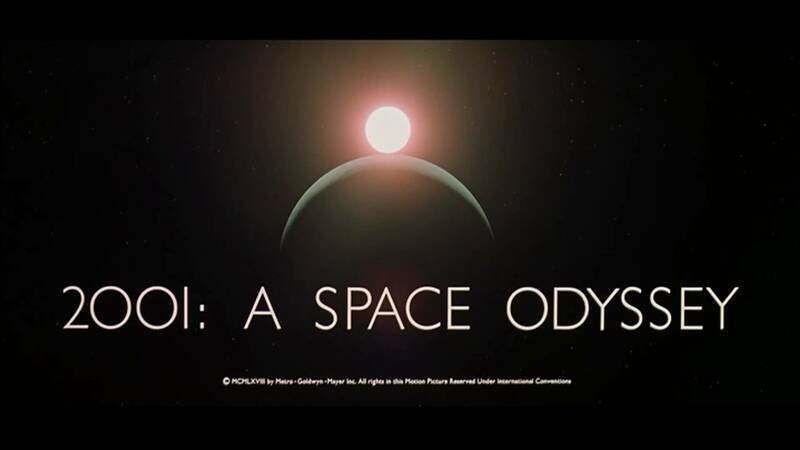 Few other movie opening sequences are this instantly recognisable within popular culture. And there’s my Top 10 Movie Opening Sequences. Feel free to let me know in the comments what you agree with, and what you feel I missed out. Tags: 2001, A clockwork orange, apocalypse now, Batman, cinema, cinematography, film, Film Review, funny games, horror, jaws, kubrick, leone, movie openings, movie review, pulp fiction, raiders of the lost ark, retrospective, tarantino, the lion king, the shining, top tens. Bookmark the permalink.